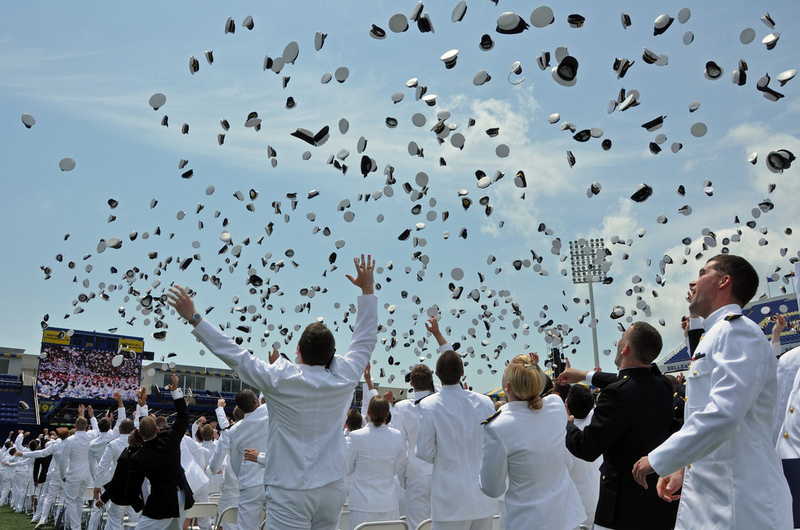 Discussing Naval Academy on the radio – Pamela Wood. I’ve been covering a case of alleged sexual assault involving Naval Academy midshipmen, and appeared on WYPR radio this week to discuss the case. Here’s audio from my appearance on “Midday with Dan Rodricks” with my Baltimore Sun colleague Dan Rodricks, victims’ advocate and attorney Susan Burke, and Anne Kendzior, a former midshipman who is suing the Naval Academy. In the case I’ve been covering, three male midshipmen were facing possible charges related to an off-campus party in April 2012, where a female classmate has testified that they may have engaged in sexual activities without her consent. Following an eight-day preliminary hearing called and Article 32 hearing and a review by the academy superintendent, two are being formally charged and charges were dropped against the third. We learned that off-campus party houses have long been an issue for the Naval Academy. And advocates who want changes in the military justice system are using the case as an example in their arguments. Previous postBusy. Crazy. And busy some more.